Different database vendors (EBSCO, ProQuest, Gale, etc) display their persistent URLs in different places with different named links. 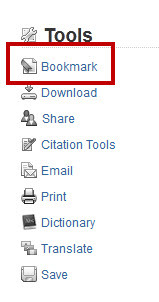 EBSCOhost Articles: Click the article title and look for 'Permalink' on the right of your screen. Click the report title and look for the 'Document URL' at the bottom of the webpage. 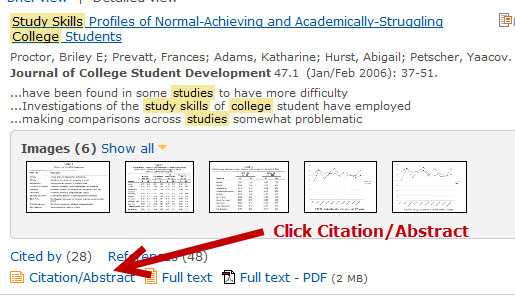 Click on the article title, then copy the URL found in the Source Citation at the bottom of the webpage. Open Opposing Viewpoints article, click on, 'bookmark' under Tools section on right side of screen. Copy URL from popup window.